1 192.168.1.1 Admin Login – Complete Guide. 2 What is the 192.168.1.1 Router IP? 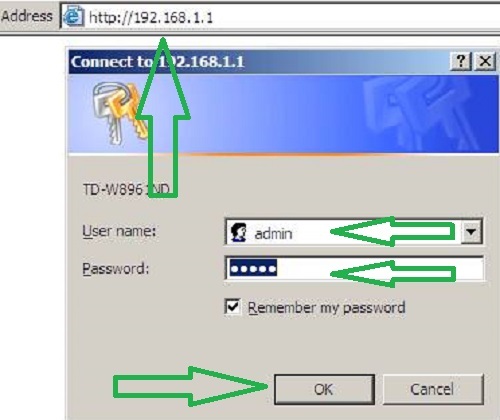 3.1 I Forgot my Router Admin Username and Password. 4 Http //192.168.1.1/ Admin Password and Username. 5 192.168.1.1 Router Login Troubleshooting. 6 Is 192.168.1.1 my Router IP? Find your Router’s IP address. 192.168.1.1 Admin Login – Complete Guide. Sign in to your router admin page via the http://192.168.1.1 or 192.168.0.1 Gateway IP. Complete step-by-step login guide, including common default usernames, passwords, and IP addresses for all major router brands. What is the 192.168.1.1 Router IP? 192.168.1.1 is the default IP address that most routers use as a gateway. Router companies usually set up router admin access at this IP address, so that users can access and configure their router or network. The 192.168.1.1 IP address is one of the most common default gateways for routers. Your router’s private IP address is the default gateway. On most home networks networks, with a single router and several connected devices, the router’s IP address is the default gateway. All computer and mobile phones on your network send traffic to this IP address by default. In Windows, this is called the “default gateway”. On Macs, iPhones, and iPads it is called the “router”. The 192.168.1.1 IP address for your router is important to know, as this is usually the address that you must type into your internet browser to locate your router’s setup page, from where you can configure the router’s settings. The router’s IP address is not always 192.168.1.1, however. Sometimes, depending on the router brand, it will be 192.168.0.1 or 192.168.1.100 or 192.168.1.254, 10.0.0.1 or another. Once logged into the web-based router setup page, users can manage Security Options, Network Management, proxy, LAN, WAN, WLAN settings, IP QoS, DNS, DSL, ADSL, MAC, WPS block; and more. When you access your router admin via the 192.168.l.l IP address, you will be able to change router settings and configurations, and view your WIFI password. Visit http://192.168.1.1 by clicking on this link or by entering 192.168.1.1 into your browser’s address bar, and pressing ENTER. You will be directed to the router user login screen, if you have entered the correct IP address, without any mistypes. On the login screen, enter your router username and password. Type either http://192.168.1.1 or just 192.168.1.1 in your browser address URL bar, and press ENTER to open your login panel. I Forgot my Router Admin Username and Password. If you do not know your router username or password, then you probably never changed the router’s default settings. All routers come with a default username and password (factory setting). We have added a list of default router usernames and passwords here. Many newer router models will have the default login username and password listed on the back of the actual router. If you have forgotten your own user-generated router username and password, you can reset your router password to the default password settings. Http //192.168.1.1/ Admin Password and Username. This is a list of the most common factory settings of usernames and passwords for the most popular router brands. If you don’t your router’s admin panel username and password, then try these combinations. I Can’t Open my Router Admin Login Page. What Did I Do Wrong? Your router’s IP may not be 192.168.1.1. Try entering 192.168.0.1, 192.168.2.1, 192.168.1.254 or 10.0.0.1 in your browser’s address bar. You may have misread or mistyped the IP address. The 192.168.1.1 IP address consists of numbers and full stops, only. A common mistake is to write 192.168.l.l or 192.168 ll in the address bar of your browser (with the letter L instead of the number 1), or to write Http //192.168.1.1/ (with a SPACE). Likewise, the number 0 in the IP address 192.168.0.1 is often mistakenly entered as the letter O. An IP addresses consists of numbers and full stops, only. You have omitted the Full Stops in the IP address. The correct IP address is 192.168.1.1 and NOT 192.168.11 or 19216811. You have written the IP address as a webpage address and included www or the HTTPS protocol. The correct address to write in your browser’s url address bar is: 192.168.1.1, and NOT www.192.168.1.1 or https://192.168.1.1. You have entered 192.168.1.1 in the Google or Bing Search Bar and not in your browser’s address bar. Your router is turned off, unplugged or simply broken. If it still doesn’t work you may need to reset your router. See our guide on resetting your router. Is 192.168.1.1 my Router IP? Find your Router’s IP address. If you cannot access your router at 192.168.1.1 (long loading or not loading at all), then your network could be using 192.168.0.1, 192.168.2.1 192.168.1.254, 192.168.1.100, 192.168.1.101 or another IP address. Make sure that your computer is connected to the router wirelessly or with an ethernet cable. In Windows search, search for CMD. Click on CMD or Command Prompt. In the black and white Command Prompt window, enter ipconfig/all (and press the [Enter] key. Find the Default Gateway line and read the IP address. To find your router IP on older Window versions or on MacOs, please see our page Find Your Router IP. If you know the brandname of your router, then visit our Router Ip Addresses page, to see a list of default iP addresses usid by major brands. If you continue to have login problems, questions or if you have any tips/fixes then add them in comment section.